This statement by the editors of this issue on the place of prosecution in ending human trafficking is of course hyperbolic, but it points to a basic truth about different strategies to protect human rights around the world. The ultimate goal in any anti-trafficking work should be twofold: preventing trafficking from happening in the first place; and helping survivors reclaim their voices and their lives so they can define how they want to move forward. Engaged audiences care about trafficking as a global issue and find it horrifying because it violates a shared hope—dignity for all people—and the communal belief that everyone deserves a chance to thrive and seek opportunity in life. To continue, please click here. Please cite this article as: J Thukral, ‘Human Rights and Economic Opportunity Will End Trafficking’, Anti-Trafficking Review, issue 6, 2016, pp. 134–137 issue 6, 2016, pp. 130–133, www.antitraffickingreview.org. The Anti-Trafficking Review promotes a human rights-based approach to anti-trafficking. It explores trafficking in its broader context including gender analyses and intersections with labour and migrant rights. NYATN Steering Committee member Suzanne Tomatore will be speaking on a panel entitled “Women’s Rights in Sustainable Development: The New Legal Frontiers” which will take place during the second week of the 60th Session of the United Nations Commission on the Status of Women (UNCSW60). The event is free and no pass is necessary. Speakers include Hon. Abike Dabiri-Erewa, Senior Special Assistant to the President of Nigeria on Foreign Affairs and the Diaspora, Prof. Cynthia Soohoo, Director, Human Rights and Gender Justice Clinic, CUNY School of Law, HE Mrs. Toyin Saraki, Founder and Director, The Wellbeing Foundation of Africa, Deborah Enix-Ross, Chair, Business and Human Rights Project of the ABA Center for Human Rights, and Suzanne Tomatore, Director, Immigrant Women & Children Project, City Bar Justice Center. The panel will take place on March 24, 2016 from 8:30 AM-10:00 AM at the Church Center for the United Nations, 2nd fl., 777 United Nations Plaza, New York, NY 10017. The event is sponsored by the American Bar Association Section of International Law, Section of International Law Women’s Interest Network, Section of International Law NGO & Not-for-Profit Organizations Committee and Transnational Legal Practice Committee. 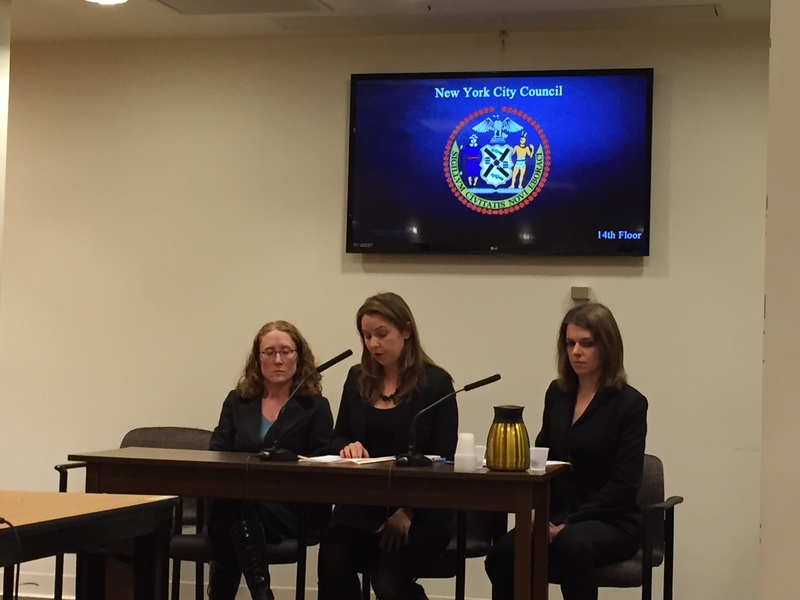 The City Bar Justice Center’s Immigrant Women & Children Project (IWC) has released a report examining how legal services have helped clients change their lives. For the report, the IWC interviewed a sample of 50 current and former IWC clients, all of whom are survivors of trafficking. The report affirms that receiving legal services is key to help­ing survivors of trafficking pursue their dreams of education, gainful employment, and family reunification where possible. The report outlines the types of legal services provided, current immigration status, and the number of clients that pursued education after receiving IWC’s assistance, among other data. IWC assists low-income survivors of violent crimes, including inti­mate-partner violence, trafficking, sexual assault, child abuse, and hate crimes. IWC represents adults and children in immigration matters with the goal of promoting better access to safety, stability, and self-sufficiency. The report may be viewed here.